Underwater navigation and positioning company Sonardyne has reported new Ultra-Short BaseLine (USBL) equipment sales across Europe, Asia and the Americas. 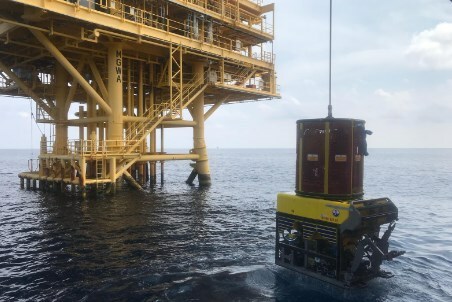 Organisations operating out of the UK, Brazil, Thailand and Vietnam have acquired Sonardyne’s vessel-based Ranger 2 and Mini-Ranger 2 USBL underwater positioning technology for tracking a range of subsea assets, from small drones due to be deployed in Shell’s Ocean Discovery Xprize to divers and ROVs working on oil and gas facilities. XPRIZE finalists TeamTao, which are supported by UK-based subsea equipment manufacturer SMD and Newcastle University, have acquired a Ranger 2 GyroUSBL system with AvTrak 6 OEM Nanos for tracking and communicating between a swarm of underwater drones and an unmanned surface vessel. The technology is due to be deployed in the final of the XPRIZE, offshore Greece, starting this month. Thai offshore inspection, repair and maintenance company Beacon Offshore has acquired a Ranger 2 Survey package, with a Dynamic Positioning Transponder 6 (DPT 6) and transceiver deployment system for its latest vessel, the subsea support vessel SC Sirapat. The Ranger 2 system will be used on the vessel for ROV and diver tracking as part of inspection, repair and maintenance (IRM) operations on mobile and fixed offshore installations offshore Southeast Asia. Brazilian underwater engineering company Belov Engenharia has acquired a Mini-Ranger 2 USBL system to track its ROVs during IRM work on floating production, storage and offloading vessels and their associated subsea riser and mooring systems offshore Brazil. The equipment will be installed and operated from the dive support vessel Cidade Ouro Preto, which operates across the region under a contract with Brazilian operator Petrobras. Vietnamese offshore service company Greenstar Positioning has acquired two Mini-Ranger 2 USBL underwater positioning systems and a number of Wideband Sub-Mini 6 Plus (WSM 6+) beacons. The equipment will be used to track ROVs and divers on Greenstar’s upcoming projects, including the installation and survey of flowlines and pipeline protection mattresses and inspection, repair and maintenance work on oil and gas field infrastructure offshore Vietnam. Graham Brown, Sonardyne Sales and Marketing Director, says, “As these equipment orders and projects demonstrate, our USBL product family has grown and evolved to a point where we have models engineered for very shallow water or ultra-deep water, temporary or permanent vessel installation and tracking targets, from just a few metres away to over 11 kilometres – all built on a common technology platform.